The Minnesota Ambulatory Surgery Center Association (MNASCA) is a statewide, non-profit trade association representing the interests of ambulatory surgery centers (ASCs) in Minnesota. 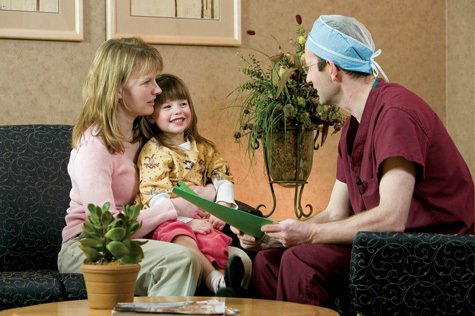 Our association is committed to promoting quality, value-driven outpatient surgical care. MNASCA represents the interests of its members and the ASC community through advocacy, education, and communication. MNASCA advocates on behalf of the ASC industry at the legislature and with key state agencies. MNASCA educates by providing annual educational conferences that keep members current on topics and trends that could impact ASCs’ surgical practice. And MNASCA communicates with its members, providing them with up to date information on legislative, safety and procedural issues that may affect their centers. MNASCA is committed to ensuring that surgery centers continue to thrive as a distinct model for the delivery of safe, affordable and advanced surgical services to Minnesota’s health care consumers. MNASCA is comprised of a variety of membership levels, including individual/nurse membership, associate membership (for our non-ASC supporters), and full facility membership. All our members share a common interest in promoting quality, value-driven outpatient surgical care. Our surgery center members vary in both shape and size. They include both physician owned and hospital owned centers as well as partnerships. They also range from single specialty to multi-specialty facilities. MNASCA is comprised of members from all over the state, from Virginia to Mankato. For full list of our member facilities, please visit our Current Membership page. Ambulatory Surgery Centers—known as ASCs—are modern health care facilities focused on providing same-day surgical care, including diagnostic and preventive procedures. ASCs have transformed the outpatient experience by providing a more convenient alternative to hospital-based outpatient procedures. Moreover, they have done so with a strong track record of quality care and positive patient outcomes. Our members provide a variety of services from gastroenterology to orthopedics, from pain management to plastic surgery. Common procedures include: knee arthroscopy, cataract removal, carpal tunnel release, colonoscopy, pain management injections, ACL reconstruction, hernia repair, implant removal, and shoulder arthroscopy. Minnesota currently has 57 Medicare-certified ASCs. These ASCs provide Medicare beneficiaries with essential surgical services, including procedures such as cataract surgeries, colonoscopies, endoscopies, and orthopedic procedures. Studies show that ASCs save Medicare money both in our state and across the nation. yearly Day on the Hill and illustrating why ASCs are an integral part of the health care system.